Now that we have come to Revelation. 21 and will turn to “a new heaven and a new earth”, it may be that those who have followed the series, have a clue of where I go. I want to show that the new heavens and new earth are present, but it probably needs more explanation. We Christians have been taught to believe that in ‘the end’ we will literally go into the perfect new heavens and new earth, dressed in the new physical body through the physical resurrection. Thus we are taught that Revelation 21:1 to 22:5 is about the Millennium that will come sometime in the future. But what I will argue is that the new creation that John presents here is a present reality as the ‘perfect order’, and will perfectly fulfill and replace. That is a new creation presented as an ideal image of the Christian faith in time and in the soil. We have previously been involved in various characters of Revelation and one of them was the great harlot, that God now has separated himself from at the judgment. This new creation that John shows here in Revelation, the bride, is presented as “new heaven and a new earth” and she takes the place of the great harlot, for “the first heaven and the first earth had passed away.” (Rev. 21:1). This occurs immediately after the ‘divorce’, or the destruction of ‘old covenant’, because I do not think we can expect that God is without people in history. He takes immediately a new bride, a new people. The New Jerusalem immediately replaces the place of the old covenant. (Heb. 8:13). It is unreasonable to put a gap in time here on 2000 + years as some “millennial” educators do. “He said to me, “These words are faithful and true. The Lord God of the spirits of the prophets sent his angel to show to his bondservants the things which must happen soon.” (Rev.22:6). I do not think that any of his disciples are still alive now. Jesus promised the disciples that some of them would live to see the final establishment of His kingdom. “He said to them, «Most certainly I tell you, there are some standing here who will in no way taste death until they see the Kingdom of God come with power.»” (Mark 9:1). No, this kingdom of God have come already. One of the understandable problems many encounter is that they do not see a difference between Peter’s explanation of the perfect order (2.Pet. 3:10-13) and John’s explanation of the new creation (Revelation 21). The explanation is that Peter focuses on the final eternal redemption while John focuses on the temporary redemption in Christ as the new creation. The temporary and the perfect …? What is what and when is it? No, in first view it is not so easy separate, but there is nothing to distinguish. When God has now brought his new creation, this has already begun the process of its creation to perfection. It’s not that I think we ever going to be perfect here on earth or already been there, but that we “press on to perfection” (Heb. 6:1). I think we should put ourselves into that God works gradually with the current new creation process, which he has done from time immemorial. Of course, he works out his own will, but this makes he more incrementally over time more than he does in a big disaster “bang” do it all at once. We see this in the way God designs the reconciliation in time (Exo. 3:15, Gal. 4:4), we see it in Israel’s gradual conquest of the Promised Land (Exo. 23:29-30; Deut. 7:22), we see it in God’s unfolding of His revelation in history (Isa. 28:9-10; Heb. 1:1-2) and in the extension of Christ’s kingdom at the end (Mark 4: 26-32, Isa. 9:6.7). 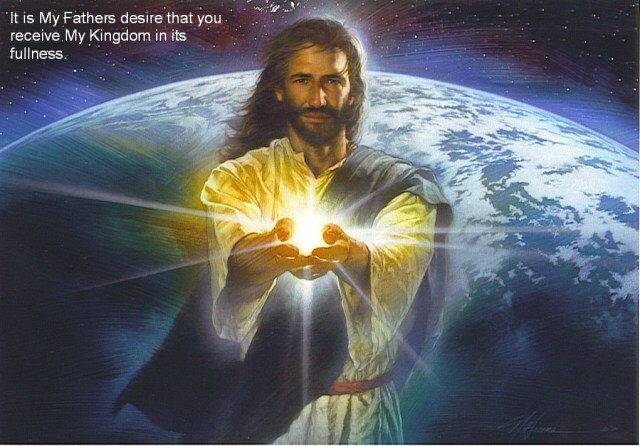 Jesus teaches us to pray: “Thy kingdom come.” (Matthew 6:10). So, the kingdom is present, but has yet to come. It is now (in one sense), but not yet (in the full sense). Paul also explains that the “old things have passed away. Behold, all things have become new.” This fits well with God’s statement in Rev. 21:1, 5. Paul calls it a “new creation” (2 Cor. 5:17, Gal. 6:15, cf. Eph. 2:10, 4:24). We Christians have with us today the new creation, for: “Therefore if anyone is in Christ, he is a new creation. The old things have passed away. Behold, all things have become new.” (2 Cor. 5:17), but we are still waiting for the final, full physical creation: “But, according to his promise, we look for new heavens and a new earth, in which righteousness dwells.” (2.Pet. 3:13). We may still have to wait for thousands of years, for “the Lord as a thousand years, and a thousand years as one day.” (2.Pet. 3:8). I would like to compare a couple of scriptures, Revelation 21:1, 4, and Isaiah 65:17-19. There are not many who deny that John takes pictures from Isaiah, but why does he do it? This is because Isaiah prophesies the church age with the same “language”: “For, behold, I create new heavens and a new earth; and the former things shall not be remembered, nor come into mind.” (Isaiah 65:17). At first glance, the first sentences of Revelation 21:1, 4 and Isaiah. 65:17-19, assume that it is the eternal ideal and perfect order, but view can be deceiving. I saw a new heaven and a new earth: for the first heaven and the first earth have passed away, and the sea is no more. / He will wipe away from them every tear from their eyes. Death will be no more; neither will there be mourning, nor crying, nor pain, any more. The first things have passed away. (Rev. 21:1, 4). 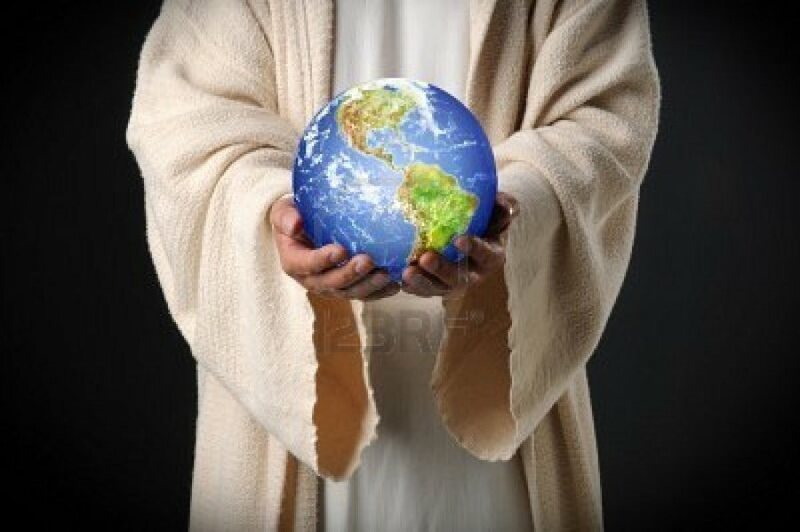 For, behold, I create new heavens and a new earth; and the former things shall not be remembered, nor come into mind. But be you glad and rejoice forever in that which I create; for, behold, I create Jerusalem a rejoicing, and her people a joy. I will rejoice in Jerusalem, and joy in my people; and there shall be heard in her no more the voice of weeping and the voice of crying. (Isa. 65:17-19). “There shall be no more there an infant of days, nor an old man who has not filled his days; for the child shall die one hundred years old, and the sinner being one hundred years old shall be accursed.” (Isa. 65:20). But there is more, there are some redeeming truths in this city that is descended from God, showing us that this city is present and in the church today, and will be there all the way to His second coming. These is about the sea is gone, taken away the grief, the light in it, and the stones the city is built on. We have go through many word already in this post, so I will save the remaining to the next post. I hope the rapture comes before the great tribulation. Anyway, Christ will reign for 1000 years before the new earth and new heaven appears. New Jerusalem is not finished until then.